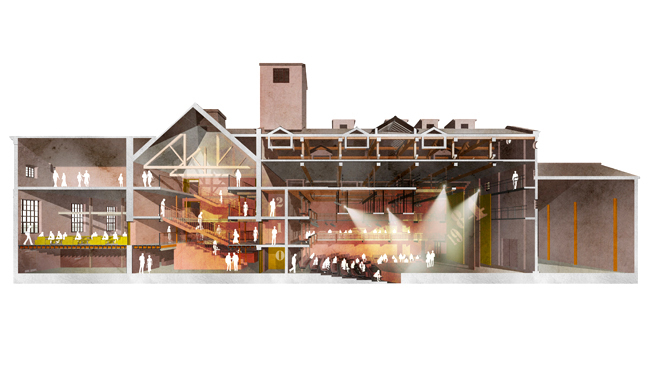 The King’s School commissioned a team led by the award winning Tim Ronalds Architects to develop the Malthouse as a drama centre. A feasibility study was carried out, and in 2016 the Governors decided to proceed with the project. The Malthouse, which was constructed around 1900 for the Mackesons brewery, is a fine surviving example of the “Functional Tradition” of English buildings. The building is relatively unaltered and in good condition. Internally the building is intensely atmospheric and offers enormous dramatic possibilities as a “found space”. The King’s School has a well-deserved reputation for drama and dance both within and beyond the curriculum. 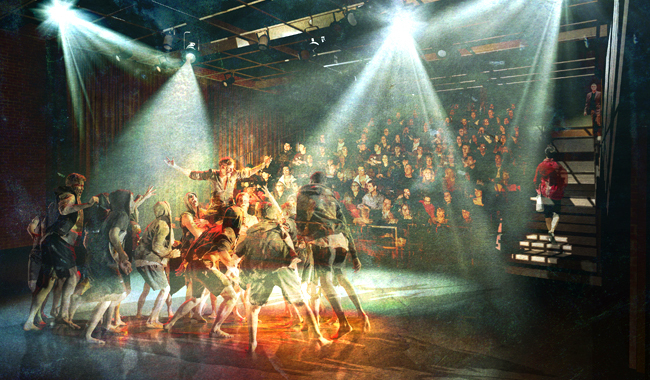 Besides acting, pupils are also encouraged to work backstage on design, lighting, stage management and sound. 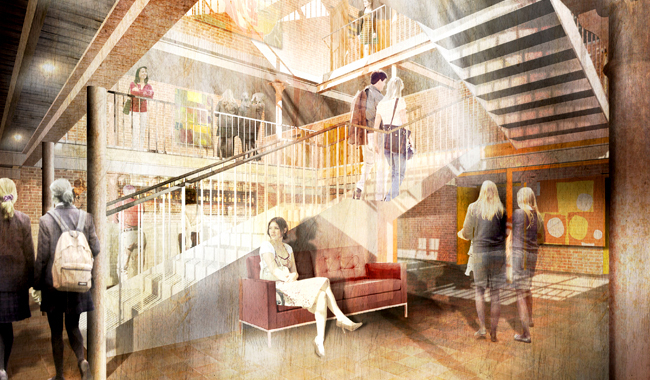 The King’s School will gain great facilities in an atmospheric building that will foster creativity for decades to come. The theatre allows for various seating configurations. Seating to the rear of the auditorium is on a retractable seating unit which allows for fast and easy conversion between flat floor teaching mode and raked seating for approximately 75-110 people. The second floor gallery is a technical space, with lightweight lighting bridges spanning across the auditorium. Double height wings are provided to the stage to allow for several staging possibilities. The workshop floor is level with the stage to aid the installation and removal of large scenery. Backstage is a large green room, showers, dedicated staff WCs, and a shared staff room for teaching, kitchen and cleaning staff. 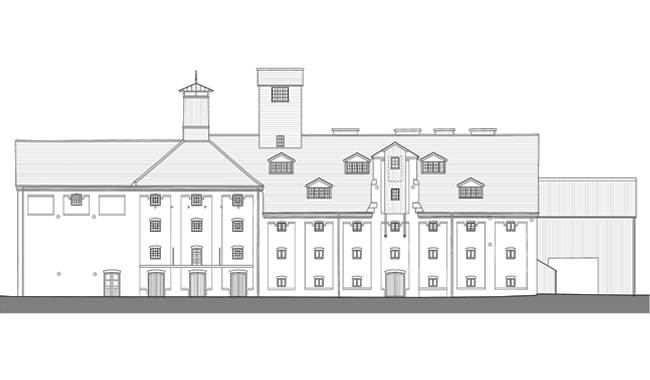 The Malthouse will also include facilities for dining, art and science classrooms for the International College.